Digging Deeper with God God Healed Me! How Exciting and Perplexing! God Healed Me! How Exciting and Perplexing! Inside: God healed me, and I don’t know what to think about that! 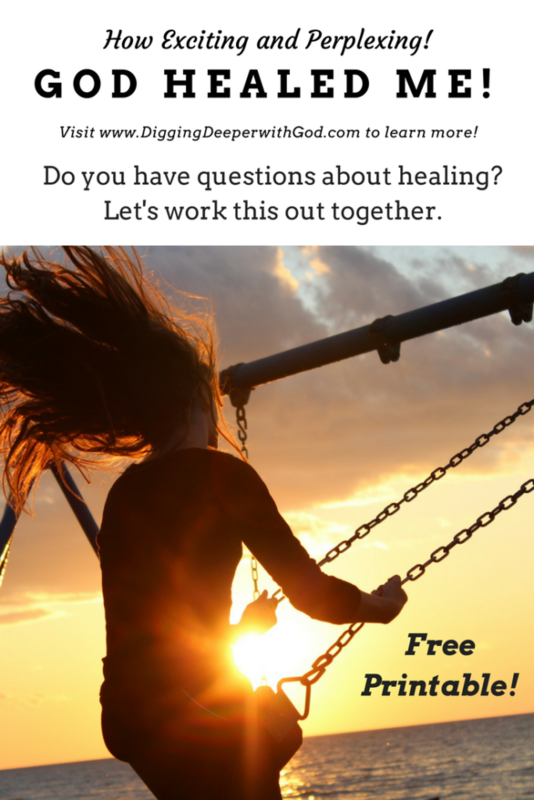 Do you have questions about healing? Have you experienced a healing? Let’s work this out together. 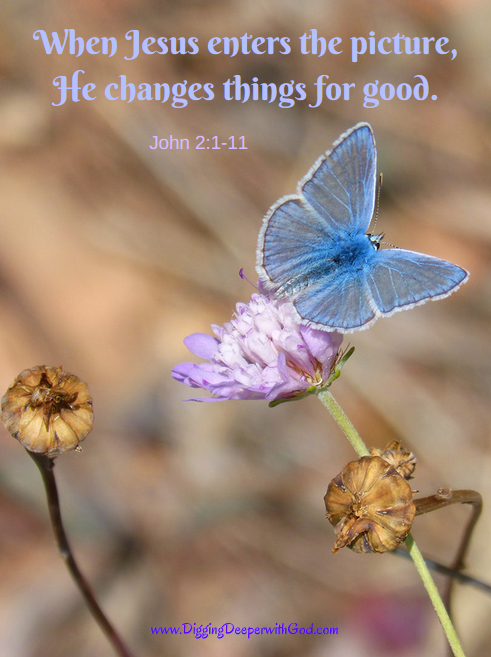 Bonus: Download a printable with Bible Verses About Healing! This page contains affiliate links. This means at no additional cost to you I may receive a commission if you purchase a product from one of the links. I only recommend products I believe in. Thank you for your support! My heart pounded too fast, too hard. Every muscle was tense and had been for weeks. My breath came too fast. I ran upstairs from my basement office and looked myself in the bathroom mirror: “Don’t have a heart attack, don’t have a heart attack,” I determined out loud. What was going on? How had anxiety taken over my typically healthy and content life? Looking back at an old email, I realized this had been going on for weeks. This was not OK. I was not OK! I was admittedly embarrassed that my emotional well-being seemed to be dependent on circumstances, the opposite of what the joy of the Lord leads to! When I finally voiced my troubles, friends prayed and spoke into me. One friend texted me about something entirely different, and I took a chance and told her what was going on. She prayed powerfully in text messages, which calmed me through that day and carried me along. Another praying friend looked me in the eye at a women’s night of worship, told me the story of her journey with anxiety, and gave me hope that it would end. One Monday night just like any other found me at our bimonthly prayer meeting–a handful of faithful prayer warriors gathered in our church’s library, sitting around a small conference table, winter coats close at hand and a space heater going. Although I had mentioned my anxiety in a surface way, and we had prayed about a small local group that was meeting to support people with mental health issues, we were not praying about that particular issue when . . . as we were praying, my entire body suddenly felt watery and light, for lack of a better description. Within moments my heart stopped buzzing: yes, buzzing. Like a bee: bzzzzzzzzzz. Who knew it had been buzzing? Not me! But this is how I knew that something supernatural had taken place. The buzzing, which I hadn’t been aware of, stopped. My heart was now silent, and I felt completely free of the tension I had felt for weeks. I felt liquid, in a way, and calm. Our small group’s prayers continued while I quietly processed what had just happened. I didn’t tell the prayer group that night, and I didn’t tell anyone what had happened for several days. Had I been healed? I kept processing this thought, and I also lived with fear that the awful, oppressive anxiety might return. It has been several weeks now, and I have been free of the oppressively tight chest, fast heartbeat, and overwhelming anxiety. God healed me, and I am excited and perplexed! I did not grow up in a tradition that included healing, although I knew in my head that God could heal. I had heard stories of scans that had once shown pervasive cancer being suddenly clear on the next visit. But I had never expected to experience miraculous healing myself. God has been teaching me in this area, some of which you can read about in Have You Seen a Miracle? I have questions about this: Why did God heal me, and why doesn’t he heal everyone of everything? Why does one person get healed of cancer or MS and another not? What about hearing loss, loss of memory, and many other physical and mental illnesses? Those questions are for another post at another time. They lead to deep theological questions, some of which take away from or minimize the truth that God is still in the business of healing! I don’t understand it. It’s mysterious. Physical healing has an element of holy mystery to it that I don’t think we’re ever going to really understand. I always believed that the Lord’s power was there to heal. Experiencing it yourself places things on a totally different level. I understand His grace in a more powerful way than I ever have before. I know that I know that He did this. That can’t be shaken and that’s a gift; that’s a great gift from my savior who loves me. Of course, one day I will not be healed on this earth but will be healed as I enter heaven. I cannot wait! So, there it is. God healed me, and I am so very grateful! What experiences have you had with healing? Please share them with us by commenting below, sharing on Facebook, or emailing me at christinedrews@diggingdeeperwithgod.com! >>>Click here for devotional questions, worship songs, and Bible verses on healing! 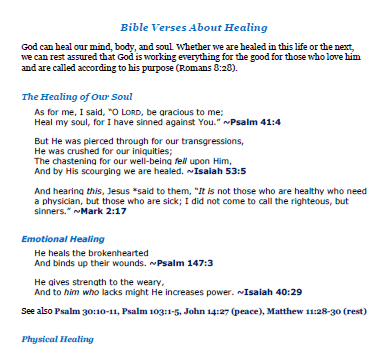 Download a printable on Bible Verses About Healing! No strings attached! It is my gift to you. I have also included resources below from a variety of perspectives. I hope you find a resource here that speaks to your bent! By including these resources, I am in no way advocating against professional help. God has given us the gift of professionals who can help us and who can prescribe medications to help correct chemical imbalances. If you are struggling with anxiety, depression, or any other mental health condition, please reach out to friends, family, and professionals who are ready to help you! Thanks for telling of your healing! When the conditions you described have been withdrawn, experiencing life and relationships is so much better. I really want to thank you for being open and honest about experiencing those things in the first place. Every Christian that is drawing breath goes through some degree of stress / anxiety at various stages of life. It’s refreshing to find people who are honest and transparent. This allows us to bear one another’s burdens (Gal 6:2). Do you think a large percentage of Christ followers feel compelled or even pressured to claim their lives are continually in sync with Col 3:15? When I lived in NC, I participated in an outreach ministry and part of the curriculum was that we were to write out a testimony of how our lives benefited from a relationship with Christ. As one by one we all shared our testimony there was a common theme of how we all had this joy and peace. My written testimony was no different, I succumbed to the pressure (though not totally aware then) of presenting a false testimony. Hi Eric! Your story of writing testimonies really hit me. 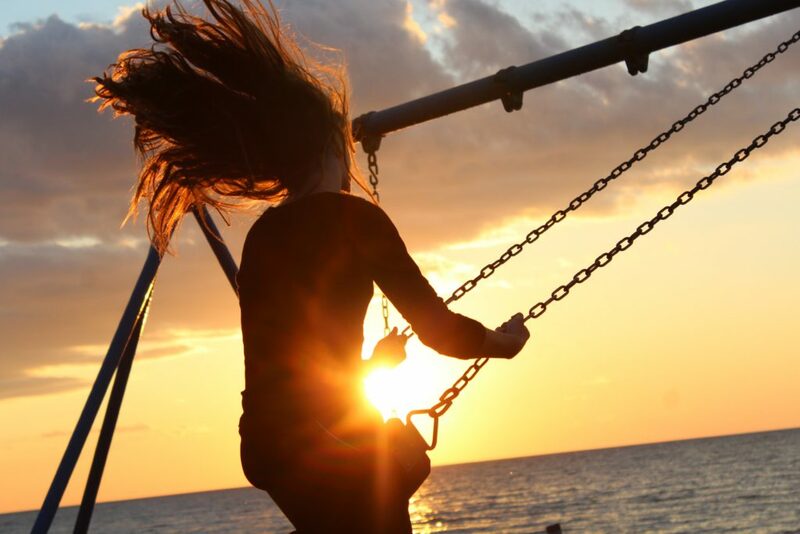 Unfortunately, I believe you are right–that we often share about our inner joy and peace and are much less willing to share about the struggles we have. I haven’t really worked this all out. I feel like I have an underlying peace of some sort, but I have not learned to let it rule in my heart in every circumstance. You know how Paul says he had learned to be content in all circumstances? I clearly have not fully learned this! Our testimonies are important, but they can only help other people if we are real in them. I appreciate that about you and the culture that is developing in our congregation as it relates to that. Thank you for writing (and reading! )!